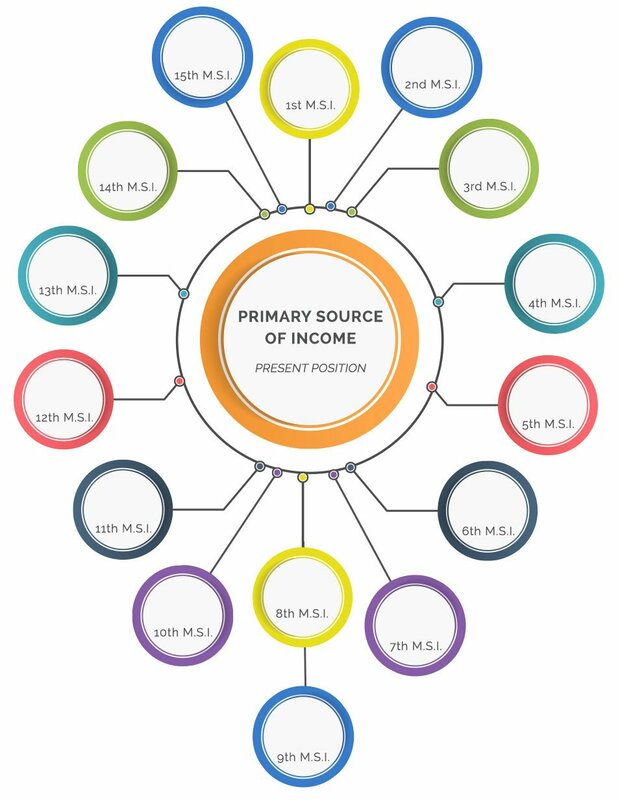 Multiple Sources of Income (MSI) is a technology that will permit you to multiply your present income by providing service beyond that which you are presently providing at your primary source of income. ADDITIONAL SERVICE – ADDITIONAL INCOME. Through MSI Technology you will earn many times what you are presently earning at your primary source of income. MSI is not another JOB. MSI is not a better JOB. MSI is not even a JOB. An MSI is an idea with which you are in harmony. An MSI is an idea that enables you to provide service to humanity in a lawful manner for which you will be fairly compensated. The compensation you receive from each MSI could be minimal or it could be millions of dollars per year. An MSI should not interfere with, nor cause you to jeopardize your position at your primary source of income. It’s been explained that an MSI (Multiple Source of Income) is not another job. In fact, it’s not even a job. It should be viewed as a source of income that is passive. Many people confuse creating an additional source of income for themselves as getting a part time job. Though that is one way of creating an additional source of income for yourself, it’s not one we recommend. Why? Because, you’re trading your time for money and eventually, you’ll run out of time. Another important point to consider when you create MSIs is: you want to focus on creating “passive” sources of income as often as possible. By passive we mean that it shouldn’t take a lot of your time or energy … it’s just something that’s there, where you receive money on a regular basis because you contributed in some way or another. Granted, there may be an initial output of time and energy to get it started and it may or may not be extensive, depending on the MSI. But, after that start up phase, it’s considered mailbox money or earning money while you sleep. Here are some examples of MSIs that we’re aware of … we know you’ll come up with your own too! join a network marketing company – every person in your downline is an MSI! You can get really creative with MSIs. If you’re an independent contractor – let’s say you’re a graphic artist … you could create a piece of artwork (maybe a book cover) and instead of charging your regular fee up front for the design, opt to take a percentage of the total sales and offer to design it for no upfront fees. You’ll more than recoup your investment of time … and it will be money that keeps coming to you as long as the person keeps selling their book. Set an immediate goal to have 15. If a person advances confidently in the direction of their dream and endeavors to live the life they have imagined, they will meet with success unexpected in common hours. Never look at the visible supply; always look at the limitless riches in the formless substance and know that they are coming to you as fast as you can receive and use them. Nobody, by cornering the visible supply, can prevent you from getting what is yours. Proctor Gallagher’s answer to your question of ‘how’?